On the heels of Delta’s historic partnership expansion with China Eastern Airlines, the International Air Transport Association issued a report recently indicating significant aviation growth in the Asia-Pacific market - underscoring Delta’s Asia strategy. International traffic to, from and within the Asia Pacific region represented 42 percent of all air traffic during 2014, according to the IATA report. Airlines operating in the Asia Pacific region dominated one-third of the world’s market share of passengers, an 8 percent increase from the year prior. Europe and North America had 26.3 and 25.3 percent market share, respectively. For Delta, the statistics emphasize the importance of its goal of improving profitability in the Pacific. “In 2014, Delta continued to grow our Asia Pacific portfolio with new nonstop flights from Seattle to Seoul and Hong Kong and further developed Seattle as a premier U.S. West Coast hub,” said Vinay Dube, Senior Vice President – Asia Pacific. Delta started operations in the Asia Pacific region in 1947 and developed the trans-Pacific network with a Tokyo-Narita hub. Delta’s current network in the region extends to Japan, China, Korea, Hong Kong, Taiwan, Philippines, Singapore, Thailand, Australia and Micronesia. Over the past five years, Delta has tripled the size of its China-US network, and this summer agreed to acquire a 3.55 percent stake in China Eastern. As one of China’s three largest airlines, China Eastern provides service to 80 million travelers annually between China, Japan, Korea, Southeast Asia, Europe, Oceania and the U.S. The airline’s hub is in Shanghai, a leading city and business center. 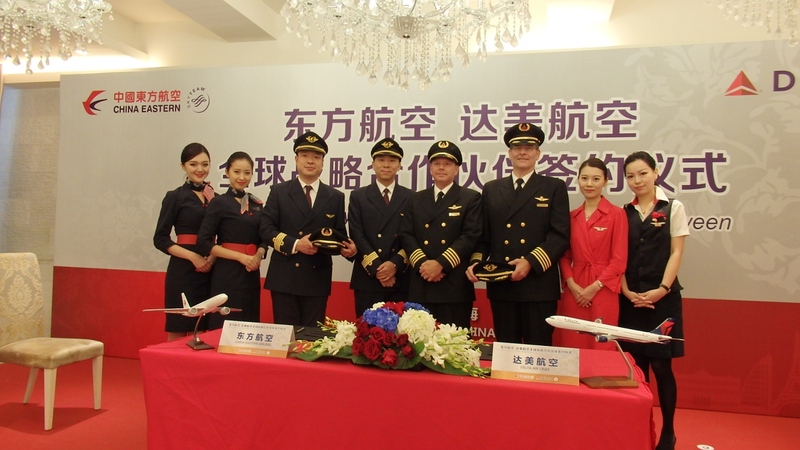 The expanded Delta-China Eastern partnership allows customers of each airline to more seamlessly access cities in both Asia and in North America by using each other’s route network.